Dishwasher safe parts with stainless steel strainer. Cleaning brush included for easy pulp removal along with a juice cup. 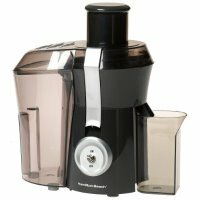 Star Rating 4.2 User reviews, ratings, and feedback indicates that this juicer is rated about average by 228 users when compared to other juicers.